Twenty two aid organisations have signed a letter apologising for their failings, stating they will “do everything in [their] power to prevent, detect and eradicate unacceptable behaviour”, including a review of their current referencing systems. They said they would work with the Government “to ensure that we can overcome the legal and institutional barriers to rigorous background checks in the UK”. 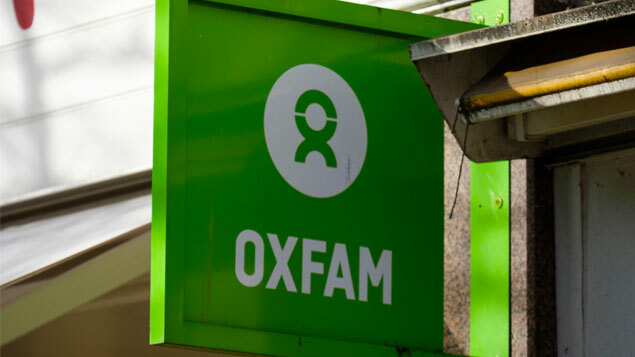 In an internal investigation report from 2011 into allegations of sexual misconduct in Haiti, which the charity published this week, Oxfam said it needed better mechanisms for informing other organisations of behavioural issues with staff “to avoid recycling poor performers/problem staff”. Indeed, Save the Children allegedly helped former chief executive Justin Forsyth get a job at Unicef by providing a clean reference, despite him directing “inappropriate behaviour and comments” towards female staff. Forsyth has twice been subject to investigation because of his conduct. “Generally, there is no legal duty on an employer to provide a reference and employers have become more reluctant to do so, for fear of exposure to claims for damages for defamation and/or negligence by subjects and negligence by recipients. The data protection legislation has complicated matters even further,” he says. Some employers choose to simply provide confirmation of a former employee’s start date, termination date and job title to avoid supplying inaccurate information, according to Martha McKinley, solicitor at Stephensons. “The duty towards a former employee also extends beyond accuracy, as case law has established that a reference must give a fair overall impression. Somewhat unhelpfully, a precise definition of what is ‘fair’ is yet to be provided. “However referring to allegations which have not been properly investigated or making statements which have no reasonable grounds and/or which have not been communicated to the employee are very likely to breach the duty of care,” McKinley says. But, on the other side of the coin, a person’s new employer can also bring a claim of negligent misstatement if it suffers a loss as a result of misinformation provided by their former organisation. This could include not telling them about proven instances of misconduct. McKinley explains: “For example, a reference which only mentions positive attributes and fails to address substantiated disciplinary action could be equally as damaging if the candidate in question goes on to damage the business of their new employer. The Information Commissioner’s Office (ICO) advises employers to have a policy on who can give references. An employer should only give a confidential reference about someone if they are sure the former employee wants them to. The ICO’s employment practices code states that a reference about a worker from one party to another – usually a prospective employer – will generally involve the disclosure of personal data, which means that the information must be given in compliance with the Data Protection Act. Freer explains that the rules around references in some sectors, such as financial services, do deviate from general practices. Under the Senior Managers and Certification Regime for the financial services industry, employers must ask for a full “warts and all” reference for senior employees. The charity sector could adopt a similar approach to safeguard against problem staff, he suggests. “The option is there to introduce similar requirements in the charity sector, particularly for posts which would provide opportunities for exploiting children or other vulnerable groups. This could add an extra layer of due diligence to supplement any requirements for safeguarding checks,” Freer adds.